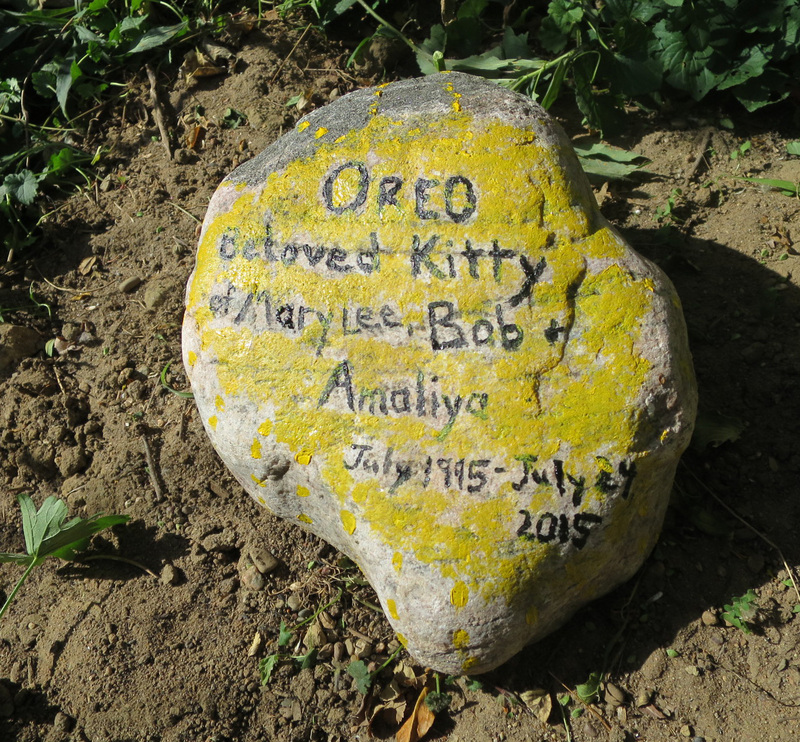 Today, I got her name, Oreo painted on her memorial stone. 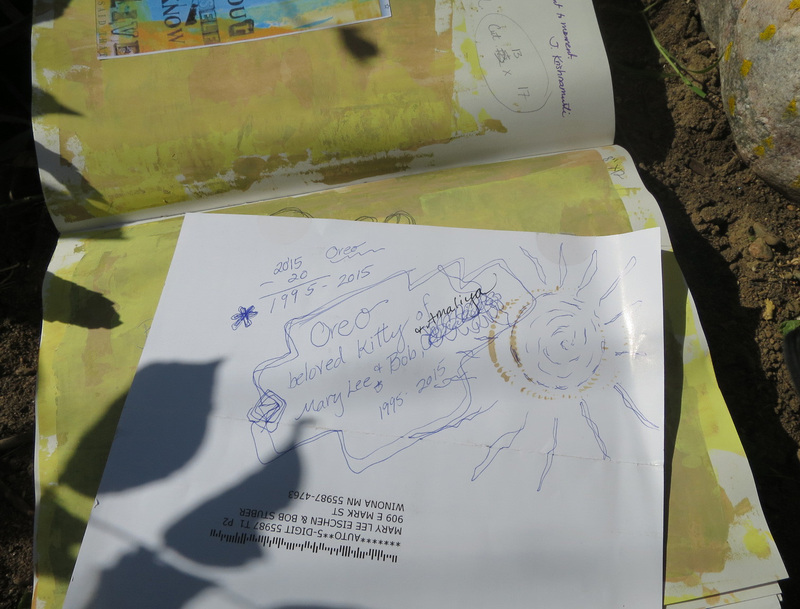 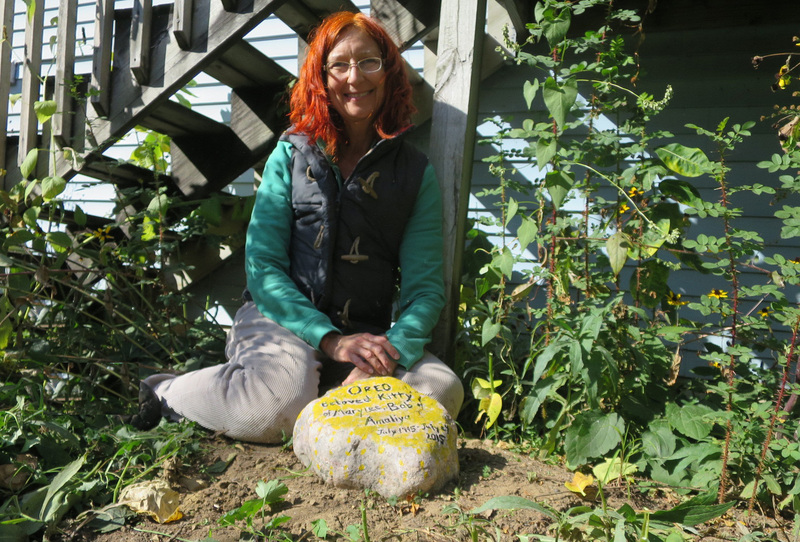 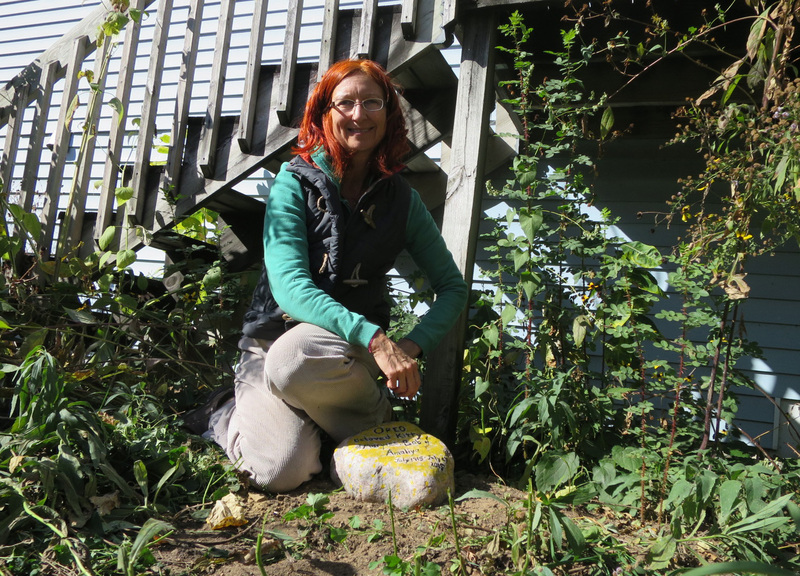 The stone had been place on July 24, 2015 and I'd written out what I wanted to paint on the stone. 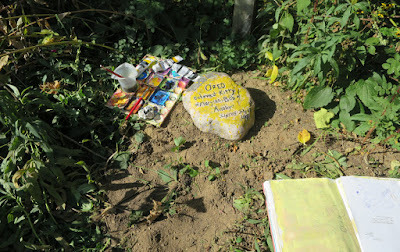 It was the right day to paint all of it on the stone today. 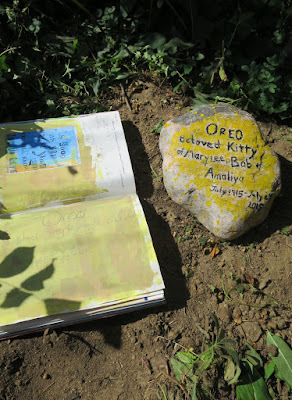 The stone surface was irregular and the painted letters look child like. 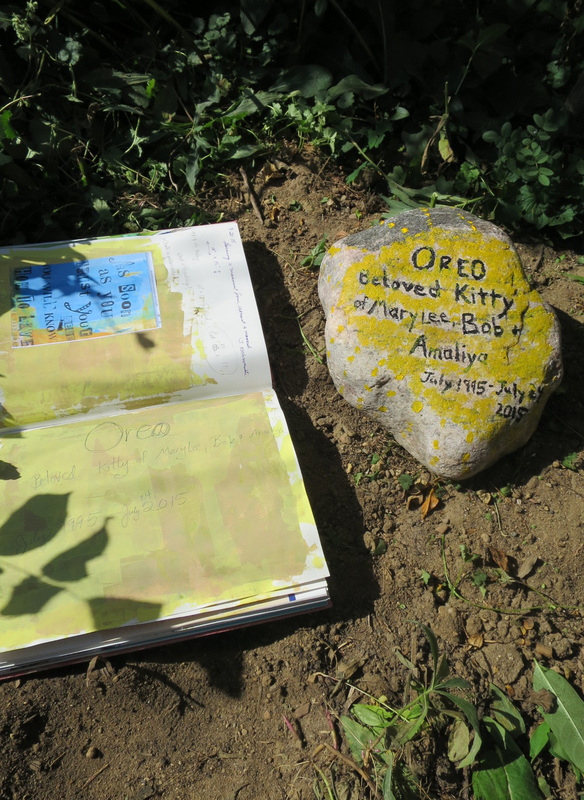 It makes me happy to have painted it in her honor. 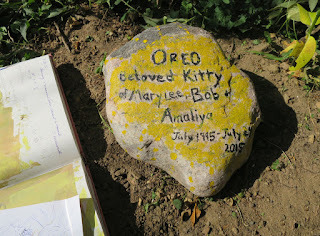 She was such a special cat. 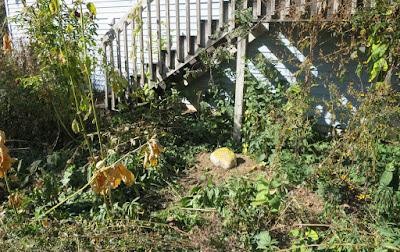 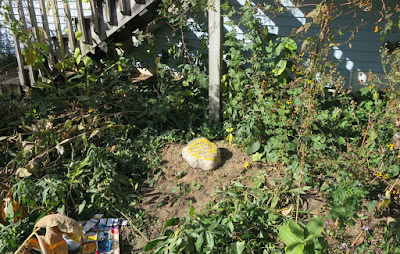 Her grave is located on the east side of our house. Many cats in the neighborhood come around and pay their respects. 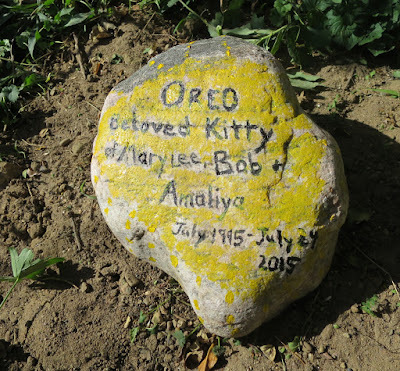 May you rest in peace, my dear kitty girl, Oreo. You're good energy is around us always.